Nutella, a rich chocolate-hazelnut spread, is delicious on its own, but it also makes a wonderful addition to candy! Nutella adds a sweet chocolate taste and a hint of hazelnut flavor to these candies. 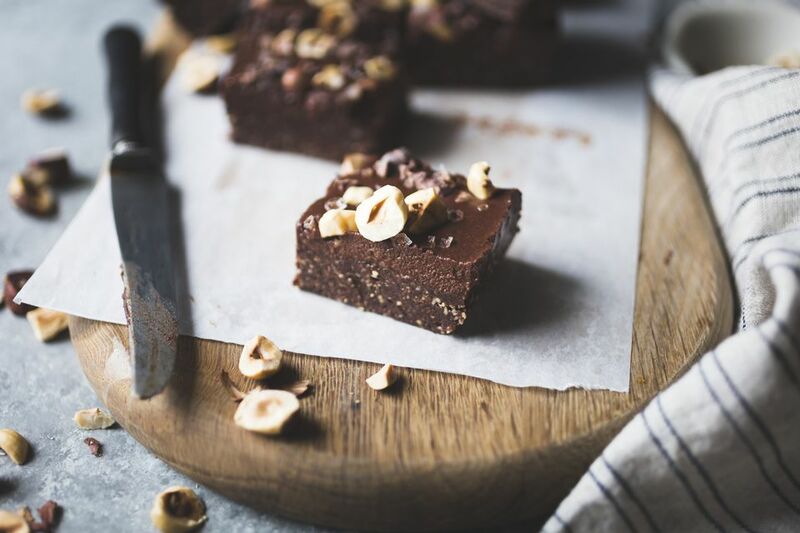 Try making Nutella fudge, Nutella truffles, or Nutella bars, and you'll never look at a jar of Nutella the same way again. Hazelnut Nutella Truffles are a delicious blend of semi-sweet chocolate, toasted hazelnut pieces, and sweet Nutella chocolate-hazelnut spread. Nutella Peanut Butter Bars have two layers of awesome nut flavor. A sweet and salty peanut butter graham cracker layer is topped by a smooth, silky hazelnut-chocolate layer. This Swirled Nutella Fudge calls for only three ingredients: white chocolate, semi-sweet chocolate, and (of course) Nutella! It's a snap to put together, but you would never know how simple it is when you see the beautiful swirled design of the finished product. Nutella Nougat is a soft, fluffy nougat that makes the perfect gourmet candy bar filling! It has a strong chocolate-hazelnut flavor and is packed with crunchy toasted hazelnuts. It's a delicious filling on its own, but for extra decadence, top it with a layer of soft caramel or vanilla marshmallow before cutting it into bars and dipping it. Crispy Nutella Truffles taste just like Ferrero Rocher chocolates! A smooth Nutella filling is studded with whole toasted hazelnuts and crisp wafer cookies. Nutella Crispy Treats are a gourmet version of the familiar rice crispy treats. Nutella spread, chocolate chips, and toasted hazelnuts elevate the childhood snack into a rich, decadent treat.